petition: Families are eating leaves to survive. Millions have fled conflict in Yemen only to face looming famine. Demand their protection. Families are eating leaves to survive. Millions have fled conflict in Yemen only to face looming famine. Demand their protection. A humanitarian catastrophe is happening now. Three years of conflict have destroyed Yemen's economy and triggered the world's worst humanitarian crisis. Every day, 16 million Yemenis are waking up hungry and more than two million have been driven from their homes by bombardments and violence. 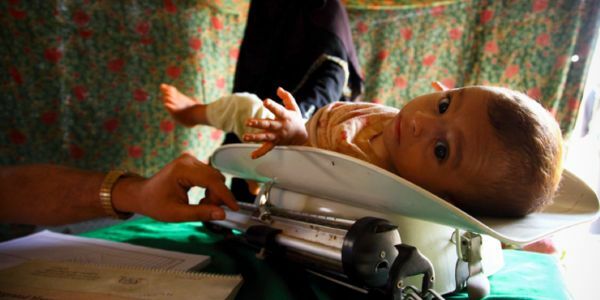 The UN Humanitarian Coordinator for Yemen, Lise Grande, reports that 65,000 people are barely surviving right now and nearly 240,000 people are on the brink of famine if they don't receive humanitarian aid. UNHCR, the UN Refugee Agency, has teams across Yemen. They are distributing emergency cash grants to help displaced families buy food. They are also distributing emergency nutrition in refugee settlements. These people did not choose to be flee. No one does. But all people displaced by conflict have the right to protection and safety. Add your voice today. Send a clear message that you stand in solidarity with the people of Yemen. Please share this message with your networks to ensure displaced families are not forgotten.